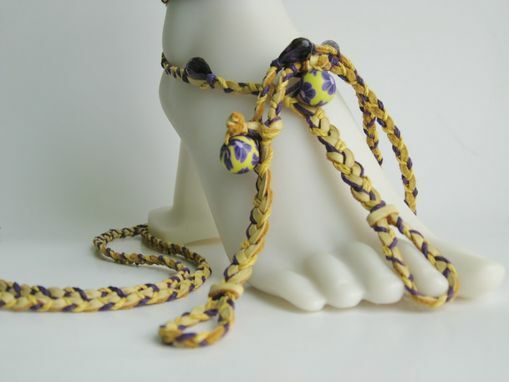 Buckskin Deerskin Hand Braided Slave Anklets. Barefoot Sandals. Dancer. Boho. Foot Jewelry. 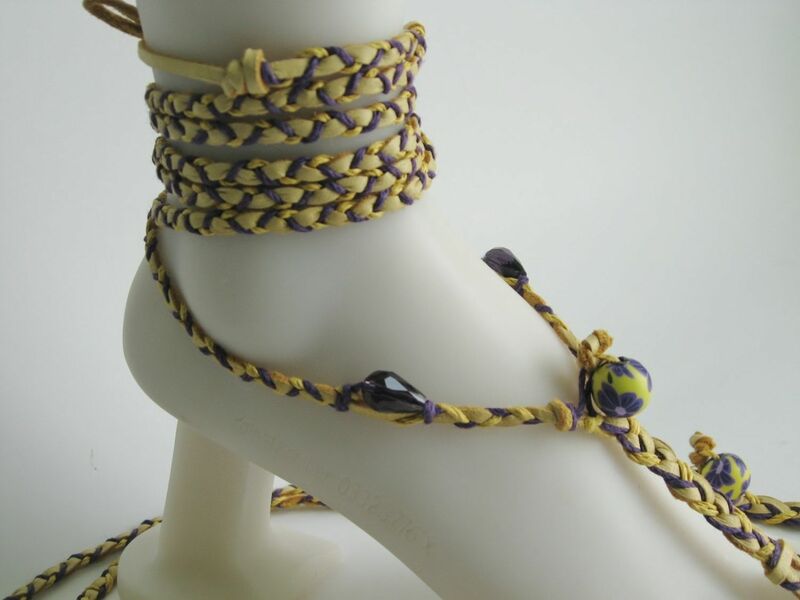 Buckskin deerskin, deep purple and gold hemp hand braided together. Braiding and knotting techniques have been used through the ages by Polynesian cultures. Deerskin is smooth around the ankle and it stays in place.